Though these words usually conjure up a picture in our mind of a scolding, matronly figure wagging her finger, I want to focus on a different voicing. A wistful, broken, incredulous person, hoping for freedom-asking as they see our joy. In Heaven, there will be no shame. No shaming. No “rubbing your face in it” tactics. On Earth, we can experience that freedom in Christ. Guilt and shame are one of the enemy’s favorite pairs. If you have remorse and regret over a choice or action, you can be sure he’s there trying to rob you of the peace and forgiveness and freedom that have already been purchased for all sin! In my own life, there are plenty of moments I would like to amend, correct, re-do, erase, etc. The majority are parenting errors that I have not let go of. Times where I did not understand my young child and was too stern. Tears were produced in both my daughters and myself in each circumstance. 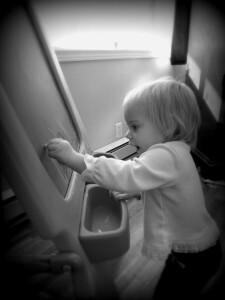 My sweet youngest, thankfully, has benefited from the mistakes we’ve made with her older two sisters. God wants to wipe the chalkboard clean. To restore our childlike wonder! He specifically impressed on my heart His desire for me to be free! 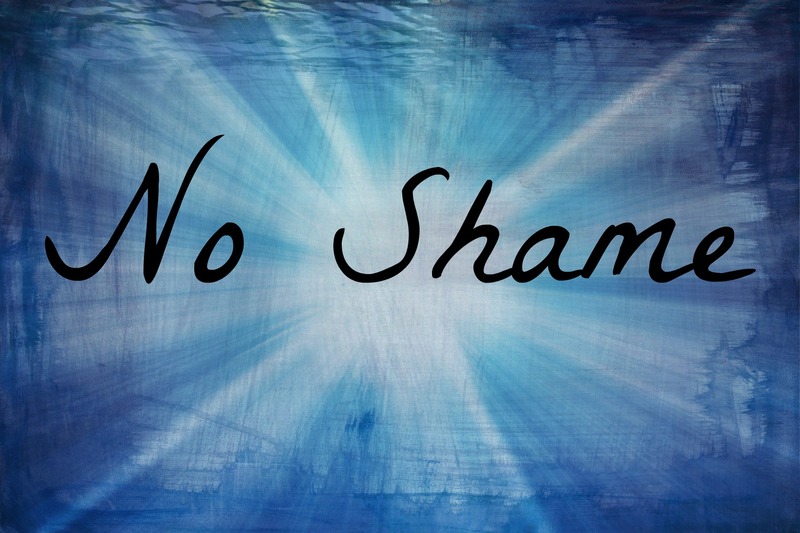 Free from guilt and shame over mistakes. Things I cannot change should not be ruling over me right now. They are gone, behind me. Like a bad dream that I may be able to recall, they are moments far behind me. You see, in our world, there are scaled judgments, punishments, to fit our “crimes”. In God’s eyes, however, all sin is sin. Either you are holy or you are a sinner. Only God is holy, hence the need for Jesus’ saving grace. One of the self-declared worst sinners wrote a letter of encouragement to a young man named Timothy, describing it best. That everything is for the Glory of God, not for us or about us! No one of us is better than another. Each of our weaknesses allow God to show His strength and cause others to marvel at what HE can do in a life. That will draw others to Him, not to us! Hallelujah! How about you? Have you been burdened under guilt? Shame? Condemnation? Do you long to be free? Are you holding on to that past decision, hoping someday you’ll be able to make it right? Will you allow God to take it from your hands, mind, heart and soul and whisper His love and freedom to you? Grab onto and enjoy your freedom, sisters, and if you like, click this link to a song He shared with me at our women’s retreat this past fall. “I Set You Free”. Hello Tammy. I’m visiting from Outside the City Gate and look forward to getting to know you and the other brave girls better. Such good words and LOVED all the scripture you’ve used. “No one of us is better than another.” Amen and something I know I need to remember. Sin is sin. I was also touched by what you shared regarding regret with mistakes we made with our children. This is one of the areas I’m most grateful for God’s forgiveness. Being freed from those mistakes has allowed me to focus on building better relationships with my boys, who are now young men. All glory to God! God’s blessings abundantly to you as well!